You can browse current Git repositories here. To build a Git download, you'll have to run ./autogen.sh before, or instead of, the usual ./configure. 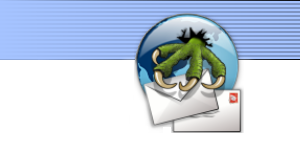 The Extra Plugins have been merged into Claws Mail repository. If you have downloaded Claws Mail with the instructions above you already have the available Extra Plugins under src/plugins. If you run Debian unstable (sid) you can test our Git Debian packages. Packages are built for i386 and amd64 architectures only, both for claws-mail and claws-mail-extra-plugins source packages. Note these are built automatically from Claws Mail Git sources and Debian packaging Git sources. Important: this key has changed and is not the same key used for packages you were downloading directly from the claws-mail.org site. You can then follow the instructions in the README file.